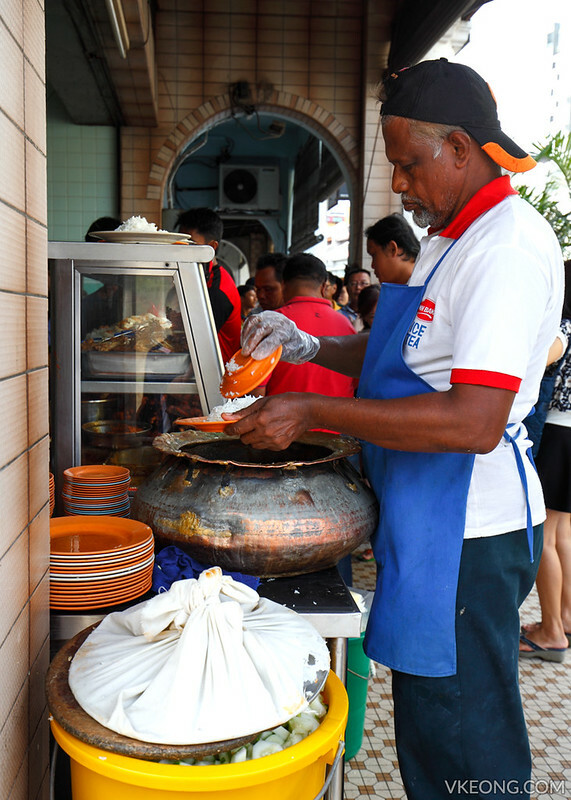 Being a huge fan of Nasi Kandar, I have always wondered how Ipoh’s famous Nasi Ganja would compare to my personal favorites in Penang. 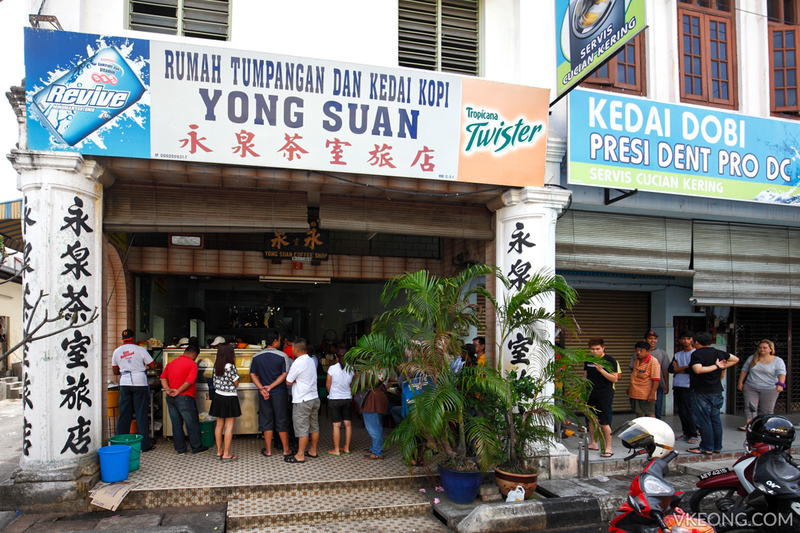 So during my last trip to Ipoh I made it a point to eat here no matter what. 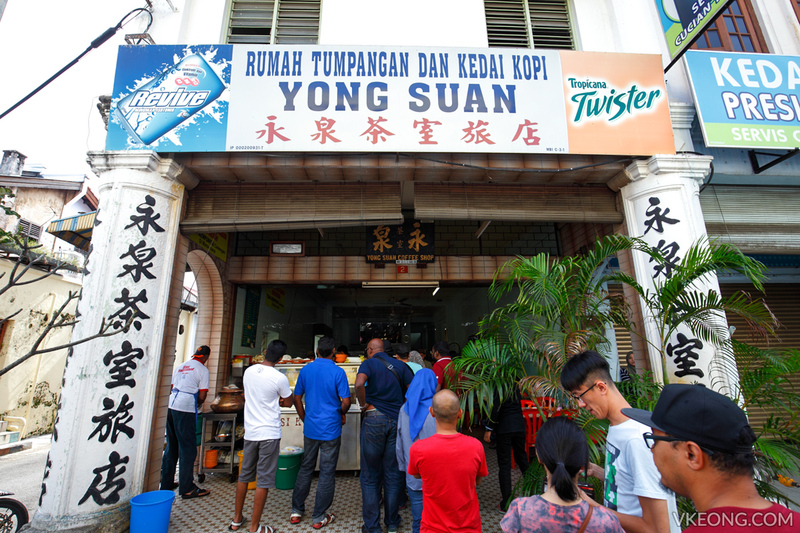 The official name for the nasi kandar stall is actually ‘Perniagaan Nasi Kandar Ayam Merah’ and they operate at a Chinese owned coffee shop called Yong Suan. 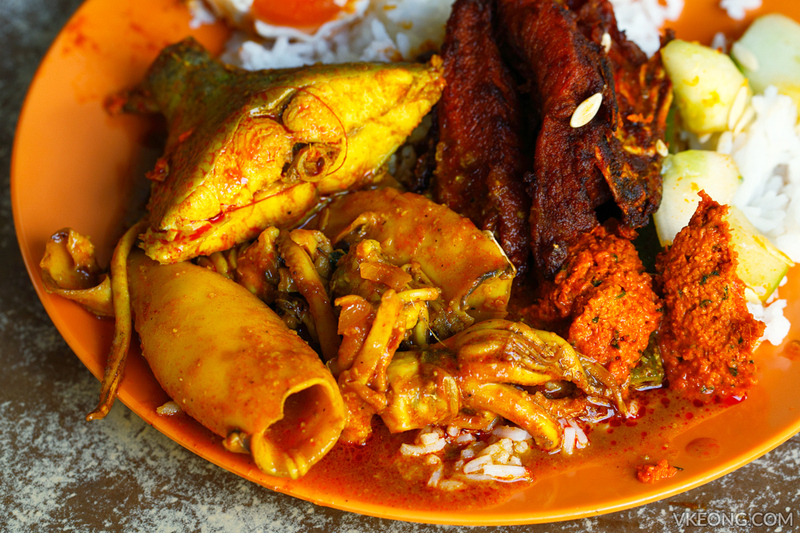 So why is it called ‘Nasi Ganja’? Well, it’s just another name for Nasi Kandar and somehow the locals adopted it as the nick name for the stall here. 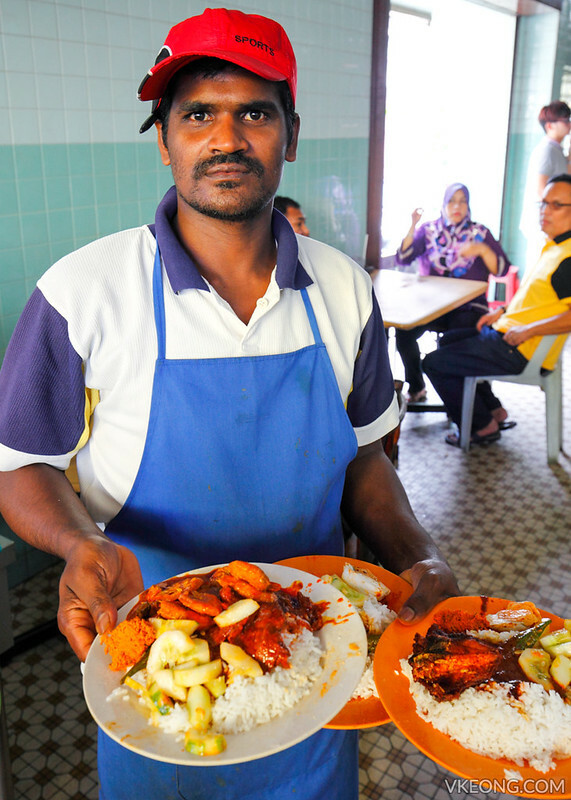 Whenever nasi ganja is mentioned, everyone understands which nasi kandar you are referring to. Not to mention it’s catchy too. Rest assured there’s no cannabis or any illegal substance whatsoever used in the cooking. The queue looks terribly long and I know what you are thinking. But don’t be put off by that because only those who are taking away need to queue. If you are planning to eat in, simply seat yourself at any free table and the staff will come and take your order. Just tell them what dishes you fancy – either served separately or on your rice flooded with a mix of curry gravies. I prefer the latter. Service is quick and efficient so you will get your food fast. Ours arrived in less than 5 minutes. Since we are sharing, I deliberately ordered a lot of dishes just to see how much it’d cost for a plate. Surprisingly, it was reasonably priced, in fact almost cheap considering it’s nasi kandar we are talking about. We took ayam goreng merah, fish curry, squid curry, salted egg, okra and their homemade mint chutney. In total, it cost only RM16. Overall, we were satisfied with the taste and we could see why they are so popular. The ayam goreng merah is delicious and recommended to try – it is after all their signature dish. However, the curry mixing skill leaves a lot to be desired, as I found the amount of gravy too little and lacked oomph despite repeatedly reminding them for ‘kuah campur banjir’. Anyhow, I asked for more curries on the side and it was provided FOC, so issue solved. 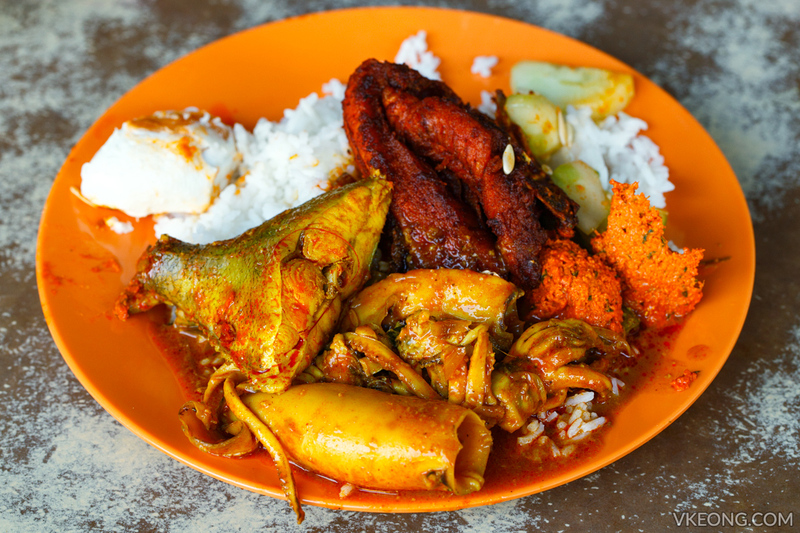 The post Nasi Kandar Ayam Merah @ Yong Suan, Ipoh appeared first on Malaysia Food & Travel Blog.